Our Swinburne node is based at the Centre for Transformative Innovation. The team use Social Network Analysis to measure the flow of knowledge, including its impact on industry outcomes, aiming to identify technological pathways for firms, and talent pathways for individuals within the chemical industry-academia nexus. 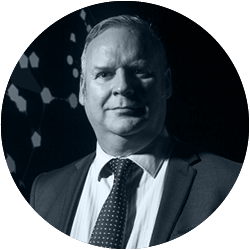 A Professor of Innovation Studies at Swinburne’s Centre for Transformative Innovation, Dean is a social network analyst with expertise in statistical models for social networks. His expertise is specifically in the theory and application of exponential random graph models (ERGM), with an applied focus on social and technological innovation, organisational culture and system resilience. Dean is the Program Leader in the Swinburne Social Innovation Research Institute, and Associate Director of the Centre for Transformative Innovation. He is also a Board Member of the International Network for Social Network Analysis (INSNA) and an editorial board member for the journal 'Social Networks'. Dr Peng Wang is a network methodologist who specialises in the development of statistical models for social networks. Dr Peng Wang completed his PhD in 2013 from University of Melbourne, and worked there since 2004. His work focuses on the methodology and software development of exponential random graph models for social network analysis. Peng joined Swinburne in 2015. Dr Colin Gallagher is a social network researcher with expertise in communication, learning, and postdisaster mental health. Colin uses complex statistical models for social network data to examine a range of substantive issues in the social sciences, as part of the MelNet group of social network researchers. Colin joined the ATCI as a post-doctoral researcher in 2018 as part of the social networks group.